David Gillick is a two-time European 400m indoor champion, World 400m finalist, Irish 400m record holder, Olympian, and Masterchef winner. He retired from running a few years ago but came back to running competitively this year for “fun”, and that extended all the way to the European Championships in Amsterdam. 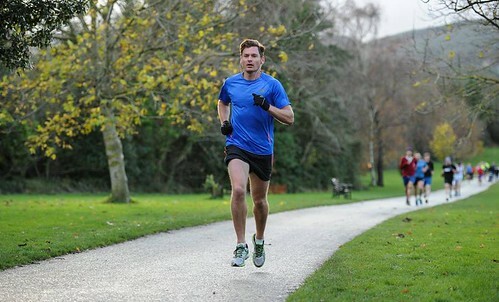 David explains how taking part in parkrun has helped to reignite his love of running. My event on the athletics track is 400 metres. So running a parkrun - a distance 12 times my event - was alien to me for almost 15 years. Why on earth would I want to run 5000 meters?I wasn’t sure what would happen when I hit the 410 metre mark! Well, it started about two years ago. I had been retired from athletics for about a year and I was struggling with the transition from full-time sport into full-time rest of my life. I was rudderless as to where I wanted to point the ship, and to make matters worse I stopped exercising on a regular basis and it was having a massive negative impact on my mental state. One Saturday morning I decided to do this parkrun I kept hearing about. It was in my local park in Marlay and I recognised a few people. I turned up and instantly felt very uncomfortable. One person mentioned you should ‘win’ this. I got nervous and wondered why I was there. It felt almost like I was back on the competition track. However, standing on the start line I noticed the relaxed atmosphere and jovial voices around me and it became very apparent that this was fun, and so it was. I enjoyed my first parkrun and decided to do it again the next week and try to improve my time. My wife Charlotte also got involved and soon we would both be waiting in anticipation for the results email to come in on Saturday afternoon. Unknowingly at the time, parkrun ignited my passion for running once again, when I didn’t think anything could. I liked the fact that it kick started my Saturday. I felt better about myself for doing some early morning exercise and I looked forward to it. I would get a small bolt of butterflies, but I liked it... it made me feel alive. I now had something to target on a weekly basis, and it felt great to be home by 10.30 on a Saturday morning enjoying breakfast knowing that I had accomplished something. Then last October I decided I wanted to really improve my 5km time. I targeted a sub-18 minute run, which meant I needed to start doing some training. In late December I found myself back training, but 400 metre training, and in May of this year I ran my first 400m race since 2012. Things progressed and I went on to represent Ireland at the European Championships in Amsterdam, finishing 5th in the 4x400 metre relay and narrowly missing out on Olympic qualification. More importantly for me and my family I have steadied the ship and the mental mooching spent running around Marley on a Saturday morning has put me in a place I thought I could never find. Running is something I have been doing since I was seven years old. To find out more about David’s running journey you can follow him on Twitter and read his blog for RTE where he will be reporting trackside from the Rio Olympics. This month, we wanted to send all you parkrunners a reminder about Gala parkrunner of the Month. There are thousands of dedicated participants and volunteers taking part in the parkrun Ireland phenomenon, and we would like to reward parkrunners for their commitment and participation that help to keep parkrun Ireland going every week. The Gala ‘parkrunner of the month’ award is a wonderful opportunity to recognise the people who make parkrun in Ireland so great. The award is open to runners, walkers and volunteers and the voting app on Facebook is designed to allow members of the parkrun community across Ireland to nominate individuals for the title of Gala parkrunner of the Month and the chance to win a €50 voucher for Gala stores. parkrunners can submit nominees for the Gala parkrunner of the month byemail. A shortlist of nominees is then created and users are able to vote via the Facebook app which goes live during the third week of every month. The Gala parkrunner of the Month voting app can be found under the Gala parkrun tab on the Gala Retail Facebook page. So what are you waiting for? Email your nominations today. 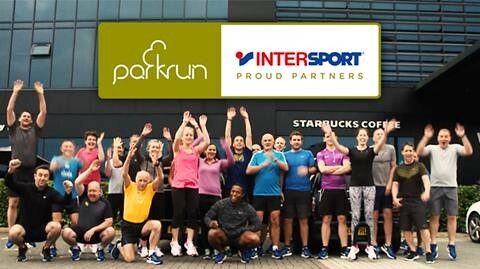 In July Intersport proudly launched the second in a series of videos to celebrate our partnership with parkrun. The video sees staff from Intersport retailers across the UK and Ireland trying out the latest running shoes from Nike and giving a big thumbs up to parkrun - it’s clear that #weloveparkrun all over Ireland! Tom Foley, Head of Intersport UK & Ireland, explains how Intersport and parkrun are two brands sharing a very strong community feel and ethic, making our partnership a perfect match. Keep the pictures coming on Twitter @IntersportIE #loveparkrun and like us on Facebook to keep up with what’s going on. See you at your next parkrun. *PPP valid at all participating Intersport stores; see our website for details. ** Not to be used in conjunction with any other offer or promotion. 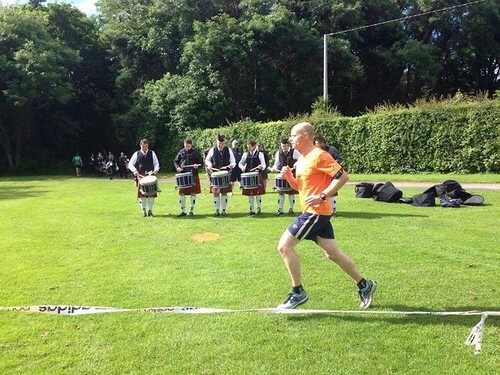 A pipe band contest taking place at the same time as Malahide parkrun in July! I have completed 107 parkruns at my local event Castle Demense, in Macroom, County Cork. Recently I was visiting my sister in Kilrush County Clare, and I ran the wonderful parkrun at Vandeleur. I received a great welcome and did my best time this year. I am a late convert to running yet I am really enjoying it, especially meeting the many regular runners and visitors to Castle Demense parkrun. It is a very challenging course (oh those hills) yet the sense of achievement when you complete the run is marvellous. Keep up the good work at parkrun and a special word of thanks to Yvonne and Vincent for all they do at Castle Demense. Thinking of going away on a parkrun weekend? I highly recommend Bere Island for the lovely welcome we experienced from everyone, especially Brendan and Edel Murphy at Lawerence Cove Lodge who are also fellow parkrunners. Just have to do more parkruns to work off all the scrumptious home baking! Favourite volunteer role: any but I aim to volunteer more. 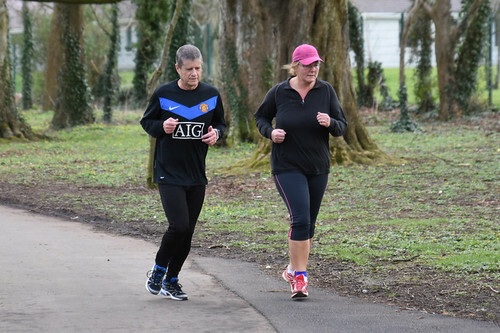 What do you do at parkrun: run and when finished I do the last lap with my wife Dawn to encourage her. How has parkrun changed your running: In May 2012 I was diagnosed with colon cancer. Under the fantastic care of Mr Kevin Murray and his team I received radiotherapy and chemotherapy followed by surgery and a temporary ileostomy stoma. After another round of chemo and a stoma reversal I returned to work in August 2013. In one of my regular check ups, Mr Murray asked if I was exercising and I told him I was running. He suggested going to the Tralee parkrun which was starting soon and his wife, Siobhan, was setting it up. My wife and I ran in the inaugural Tralee parkrun Jan 2015 and now we look forward to every Saturday morning for the run in the park. As my job involves promoting wellness I organised a team challenge at BorgWarner (formally Beru) to encourage our staff to join the Tralee parkrun community. Several members of staff took up the challenge and still attend including my good friend John Conway who was our parkrunner of the month in January 2016. Park running has motivated me to run more and I moved up to a 10k in January this year. I hope to do a half marathon later this year and hopefully a full marathon next year but I will always do the Tralee parkrun whenever I can on a Saturday morning. I am 3 years into the 5 year post cancer monitoring and thanks to Mr Murray and his team I am pleased to say I am still cancer free and loving life including Tralee parkruns! What do you like about parkrun: Hearing my wife say when we finish "I'm glad you made us get up this morning and do the parkrun!" Most memorable or funniest parkrun moment: finishing up the hill at the Halifax, England parkrun which was called Ecky Thump hill! It reminded me of our Yorkshire roots! Also, a couple of weeks ago I thought I was doing really well when Kevin Murray passed me out on my third lap only to find out afterwards he was a late starter!